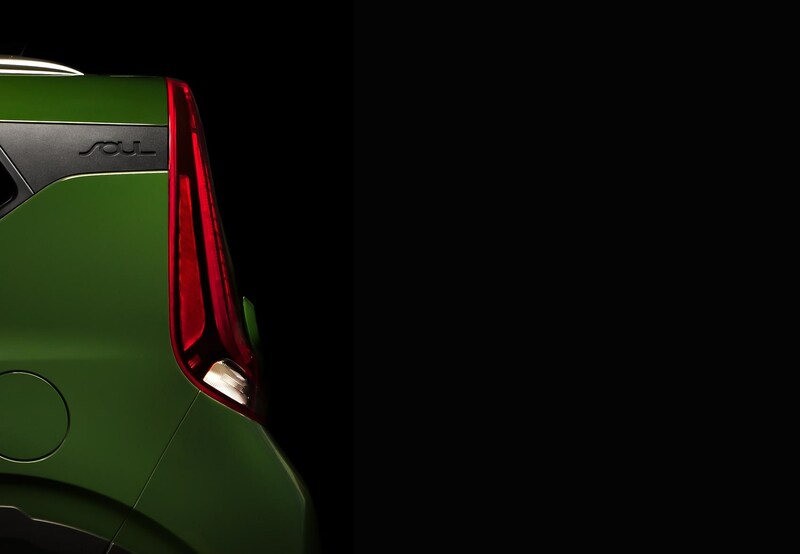 Kia’s funky Soul has returned! 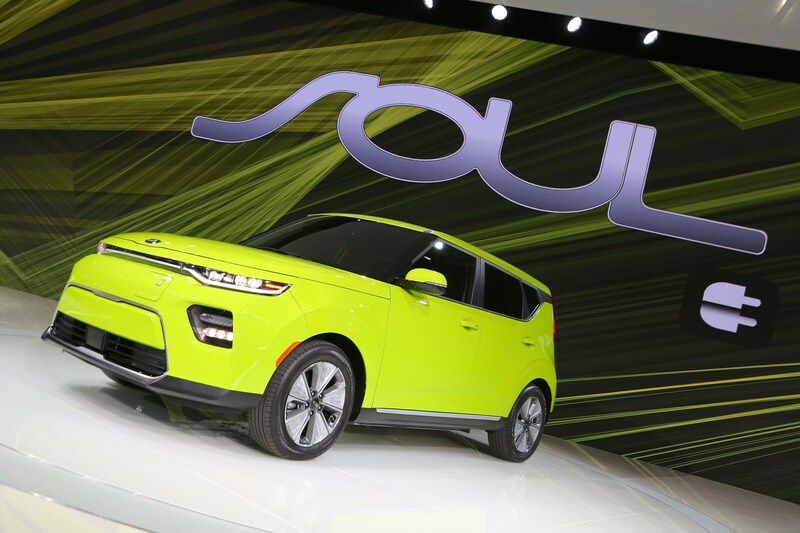 The new 2019 Soul EV has been revealed at the 2018 LA motor show with a new look and more power. It will also be the, ahem... sole version of the car when it arrives in Europe. 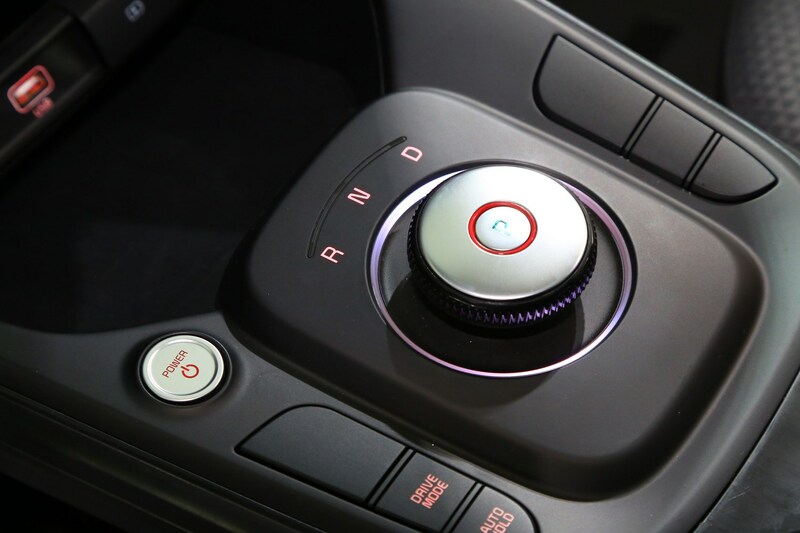 Since it's such a hit in the US, the car will feature a range of combustion engines across the atlantic. 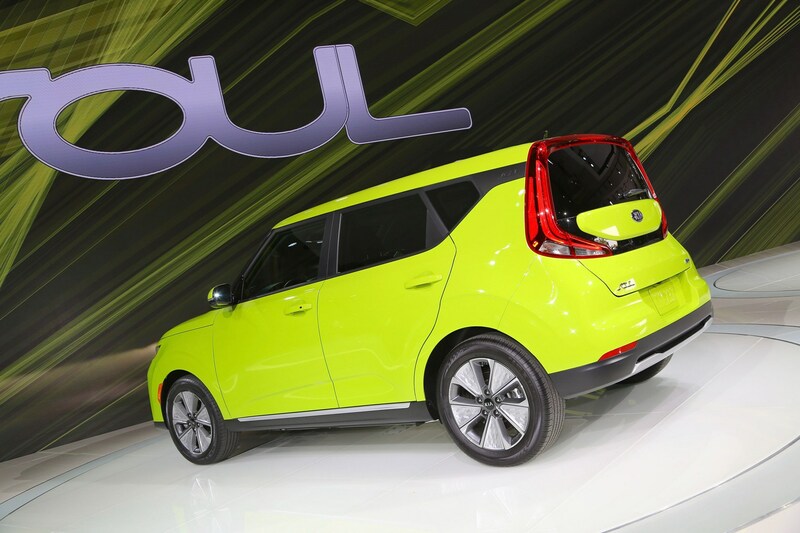 The new Soul EV uses a 64kWh battery pack that’s been completely redesigned over the previous version. It uses less cobalt than before (a key but incredibly finite material in battery construction) and the new cell chemistry means denser energy capacity, according to Kia anyway. The battery also now has the capability of using a CCS fast charger socket. Total range is still to be worked out, but Kia seems confident it will be more than before. We’ll find out the total range in early 2019 after Kia has finished testing. But given the Hyundai Kona Electric has the same 64kWh battery, we could see a similar claimed range of around 300 miles. There’s 201bhp and 291lb ft to play with, with four drive modes limiting/enhancing the amount of power you get – Eco, Eco+, Comfort and Sport. The greener the mode, the more regenerative braking you get. 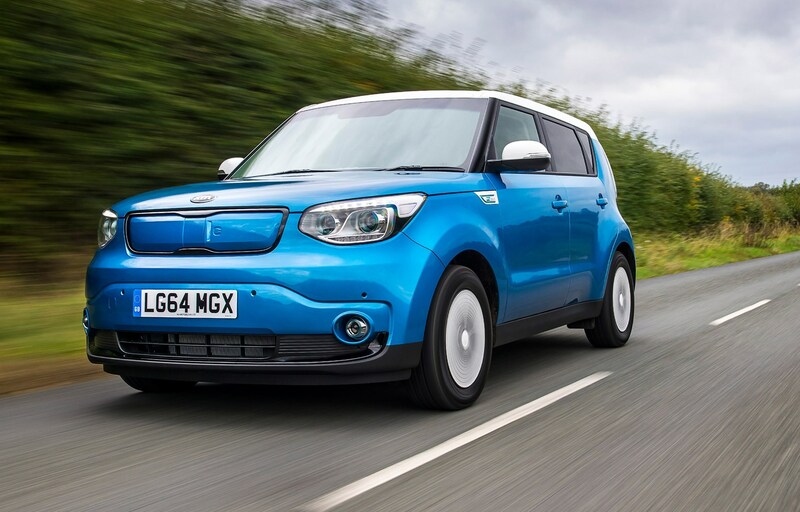 Kia’s funky box on wheels hasn’t lost any of its design, er… soul. The EV has a specific design, much like the previous one, with different LED headlights and fog lights and 17-inch alloys. There’s a 10.25-inch infotainment screen inside with Apple CarPlay and Android Auto and a load of safety tech. 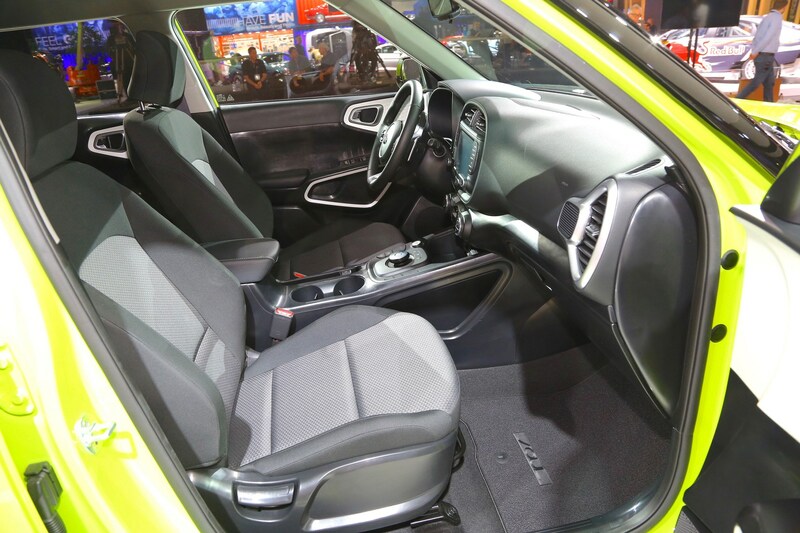 It’ll still be a striking car to configure, too – Kia promises a jazzy colour palette (like this lime green) and there’s a ‘Designer Collection’ model that not only adds more kit but some bonus luxuries, too. 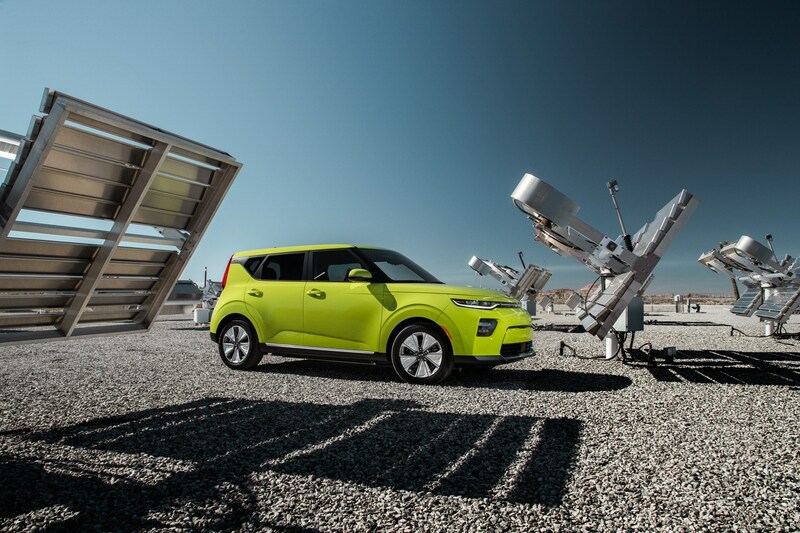 We’ll find out more about the new Kia Soul when it goes on sale in the first half of 2019 in Europe and the US.